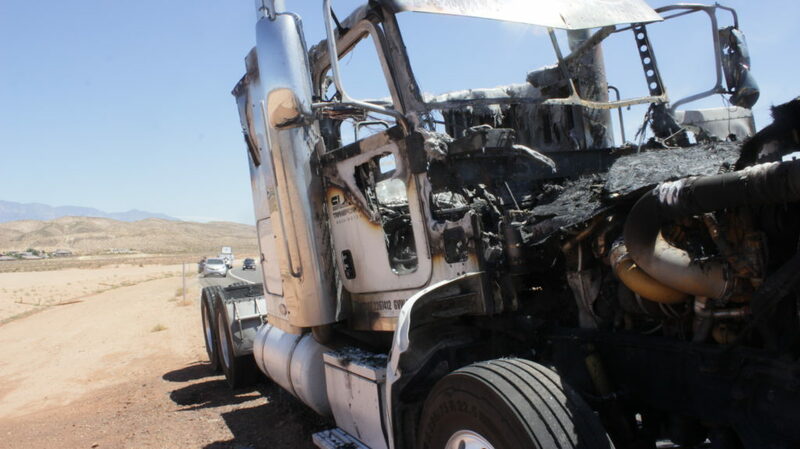 ST. GEORGE — A semitractor caught fire on state Route 7, drawing emergency responders to extinguish the blaze. 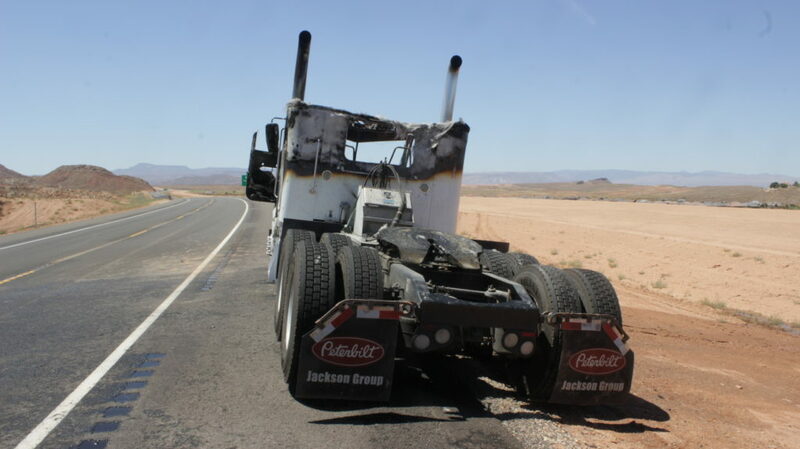 At approximately 10:55 a.m. Friday, emergency crews were notified of a semitractor (minus its trailer) on fire near mile marker 10 on the Southern Parkway, Washington City Fire Chief Matt Evans said. 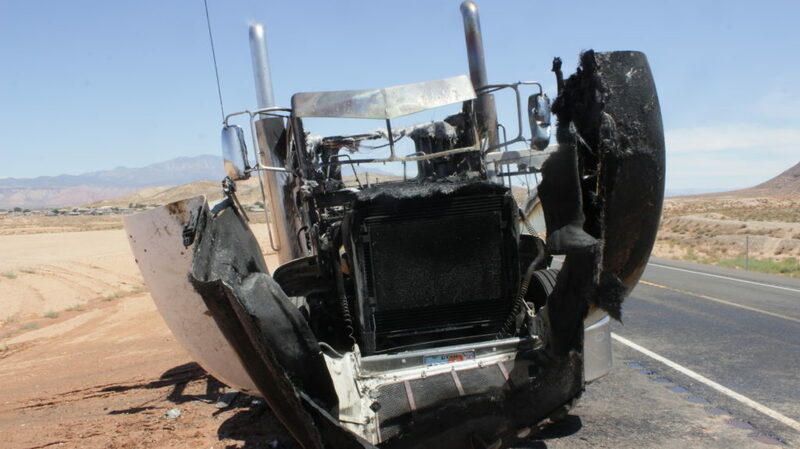 When fire crews arrived, they found the vehicle fully involved. Despite the raging flames, firemen were able to extinguish the blaze within a matter of minutes. 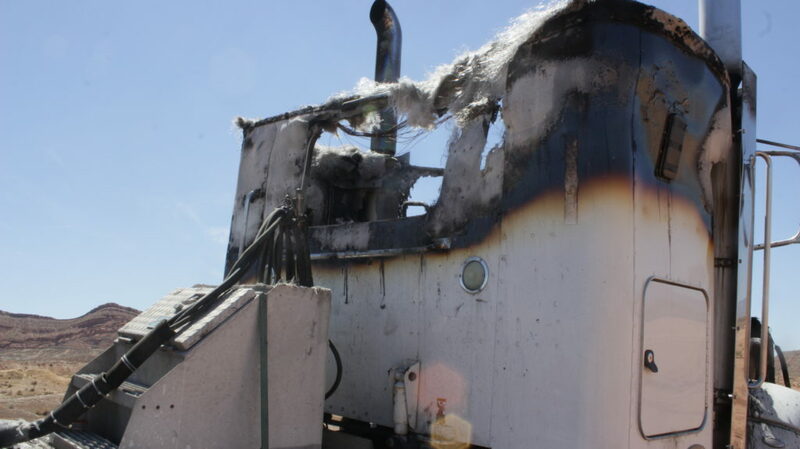 “They got the fire out pretty quick,” Evan said. 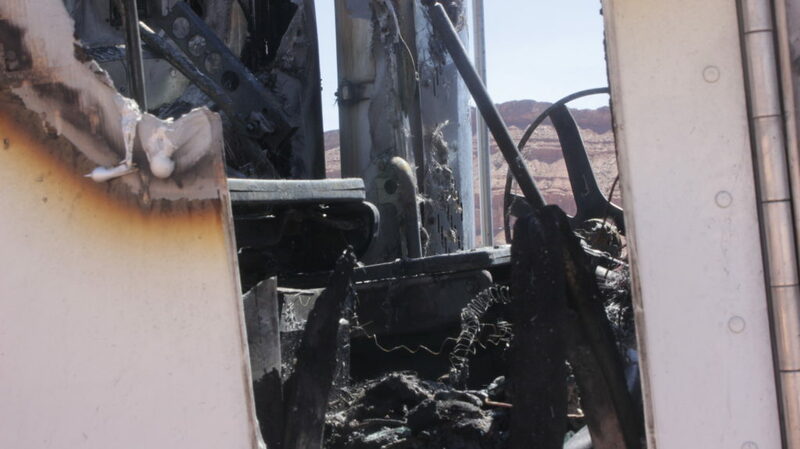 The cause of the fire is unknown at this point. 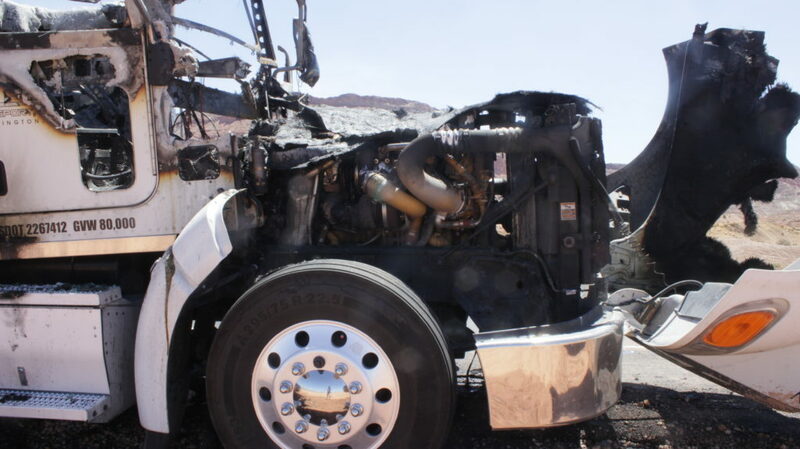 “The actual cause of the fire is still under investigation,” Evans said, adding that the vehicle was a complete loss and due to the intensity of the fire, it might be some time before the cause is known. While fire crews attended to the blaze, Washington City Police officers restricted travel on state Route 7 to just the northbound lanes. 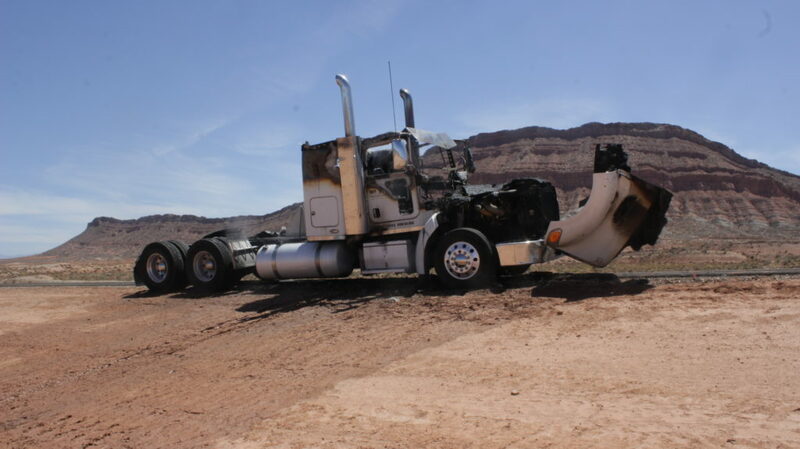 The semitractor was towed from the scene. 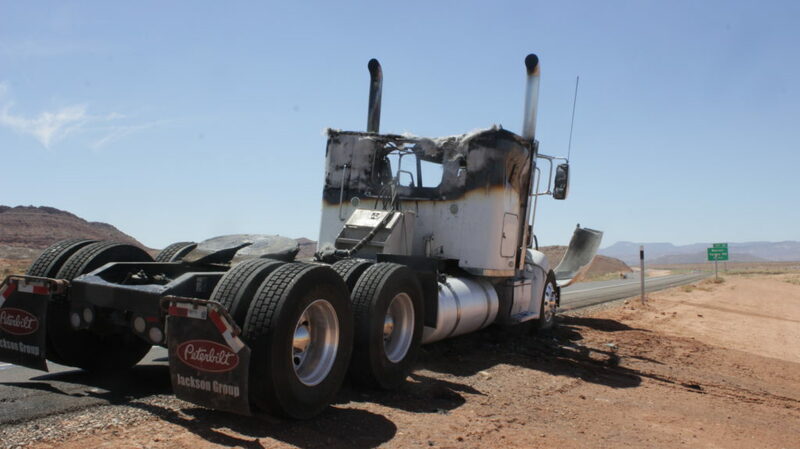 Washington City fire crews from stations 61 and 62 responded to the incident, as did Washington City Police and a Utah Department of Transportation Incident Management team. Don Gilman is a fourth-generation newspaperman whose passion for writing began at an early age. His work has been featured on the ESPN Pac-12 Blog and Bleacher Report. He attended Umpqua Community College in Oregon. He is an avid kayaker, hiker, rock climber and mountaineer and has climbed some of the biggest mountains in the western United States.